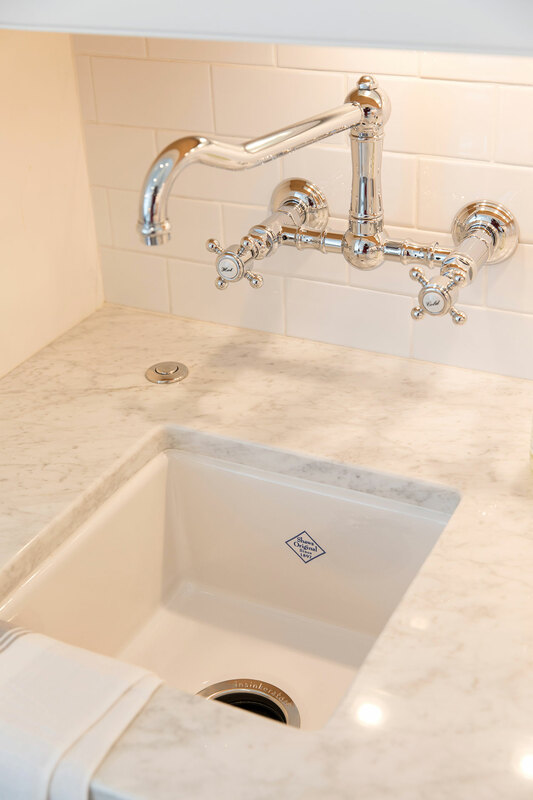 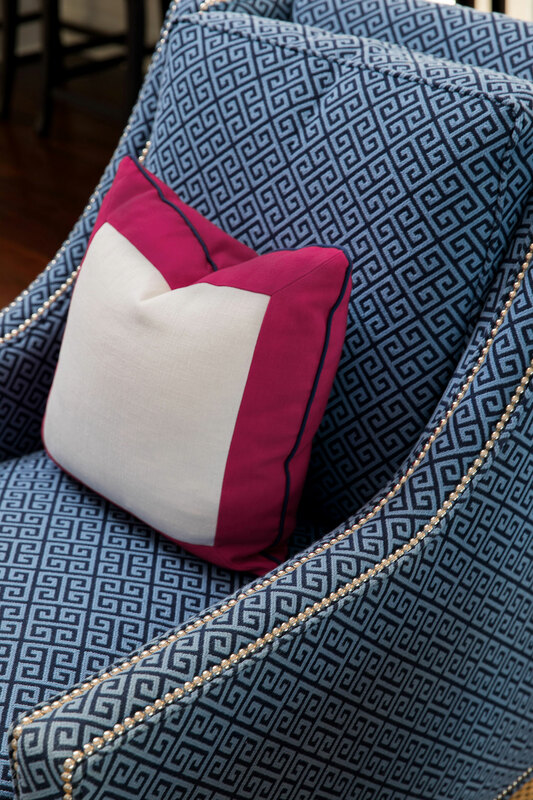 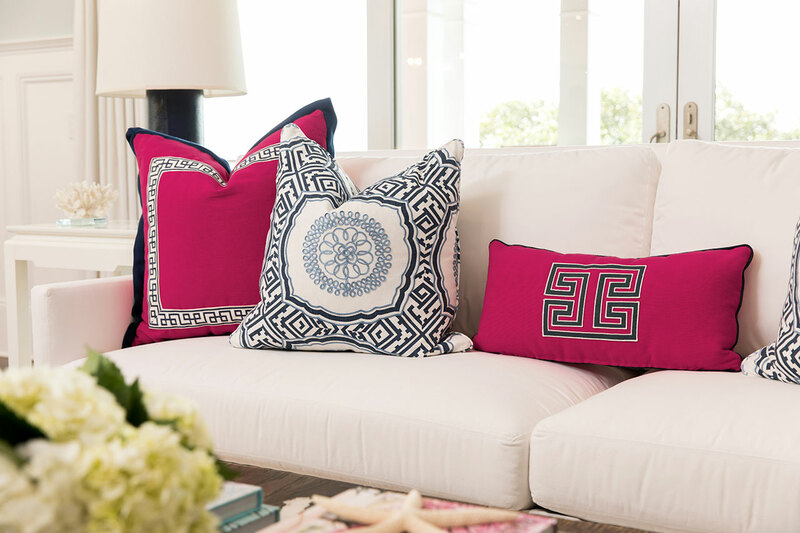 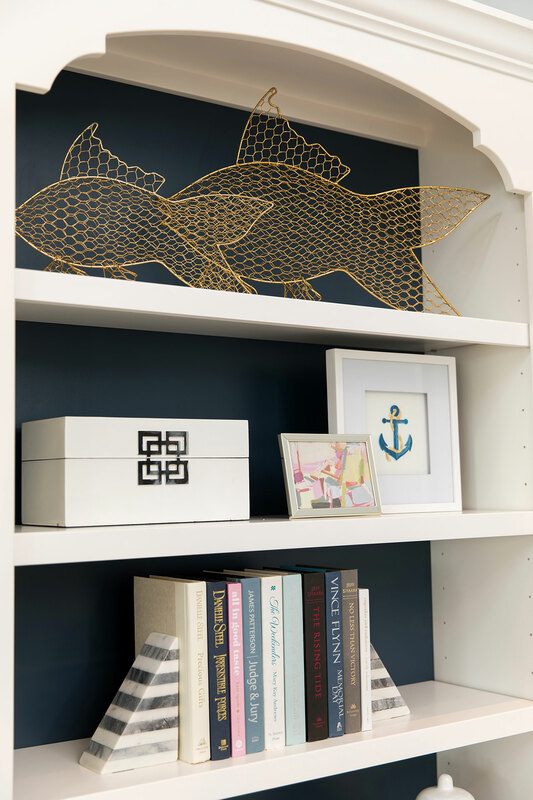 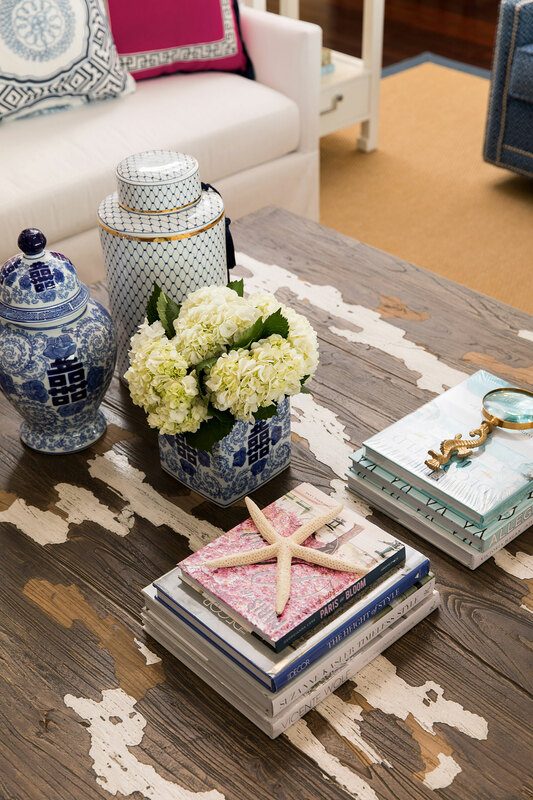 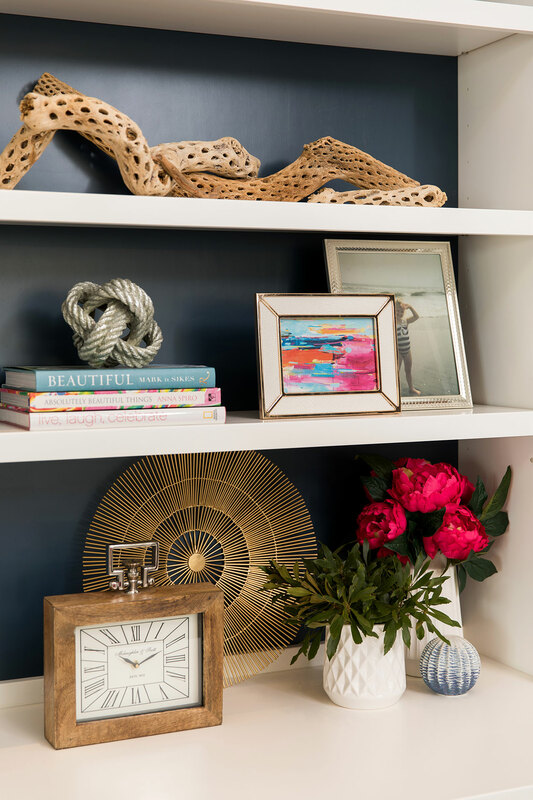 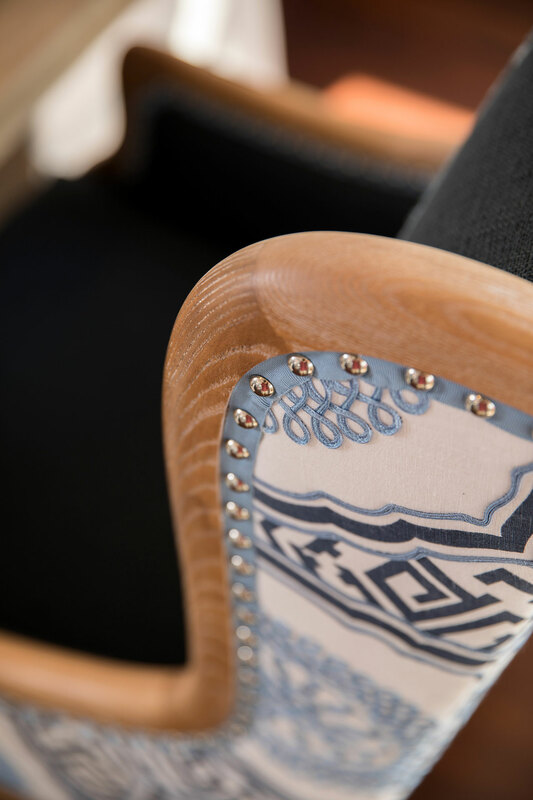 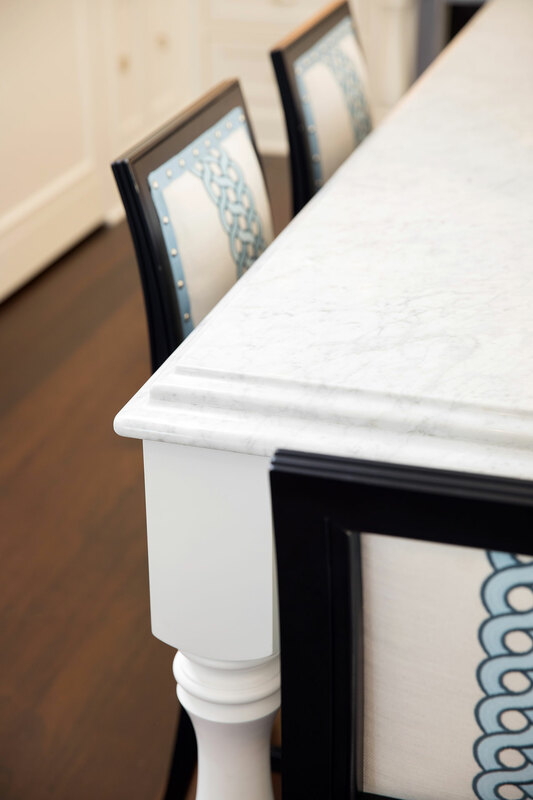 This client had a love for traditional details, tailored preppy style and the finer things in life. 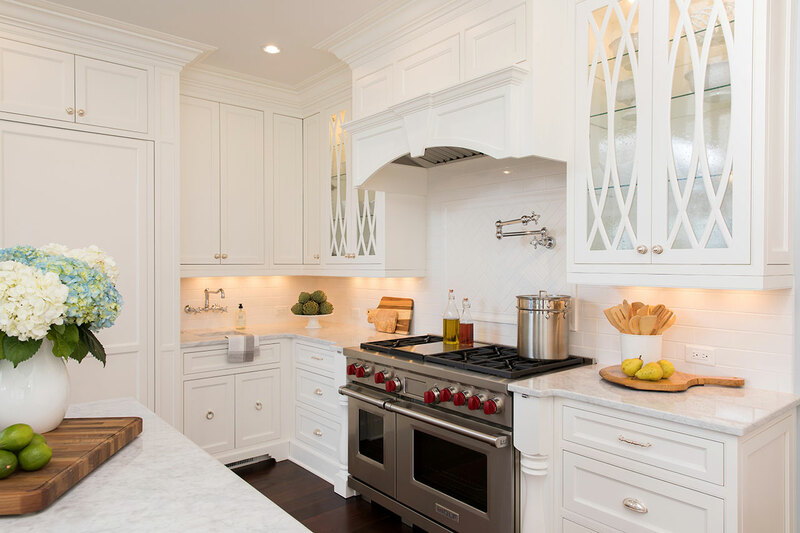 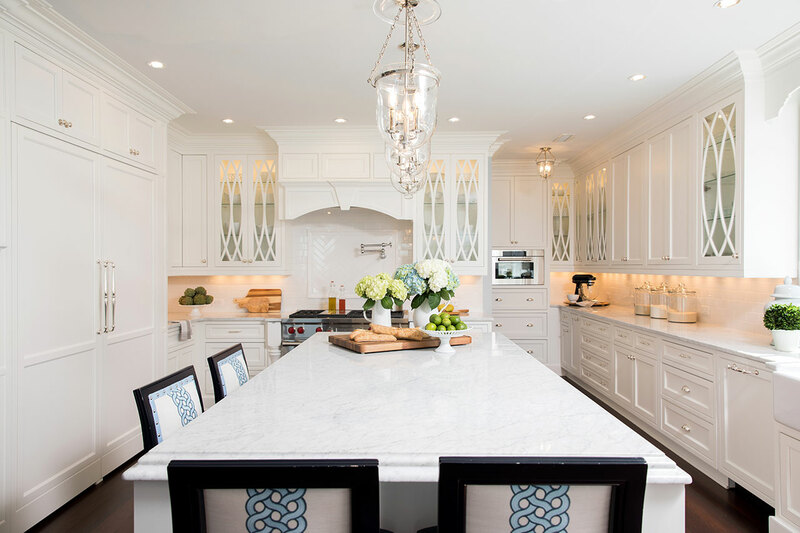 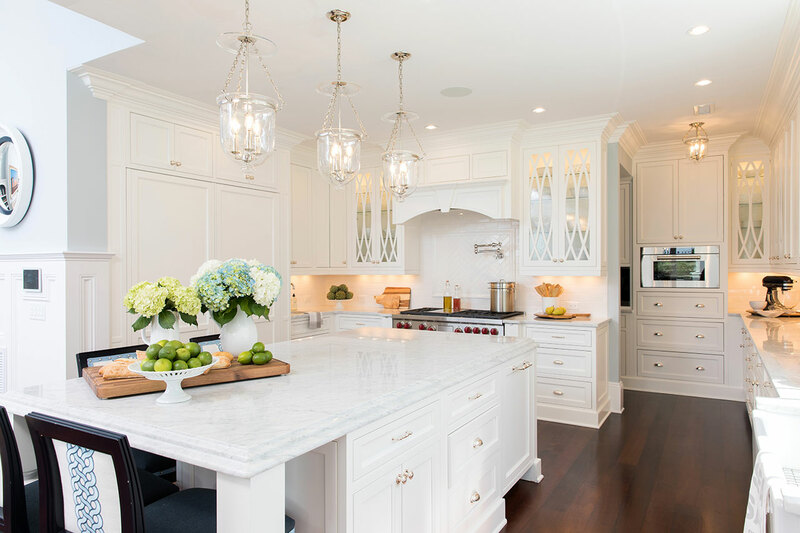 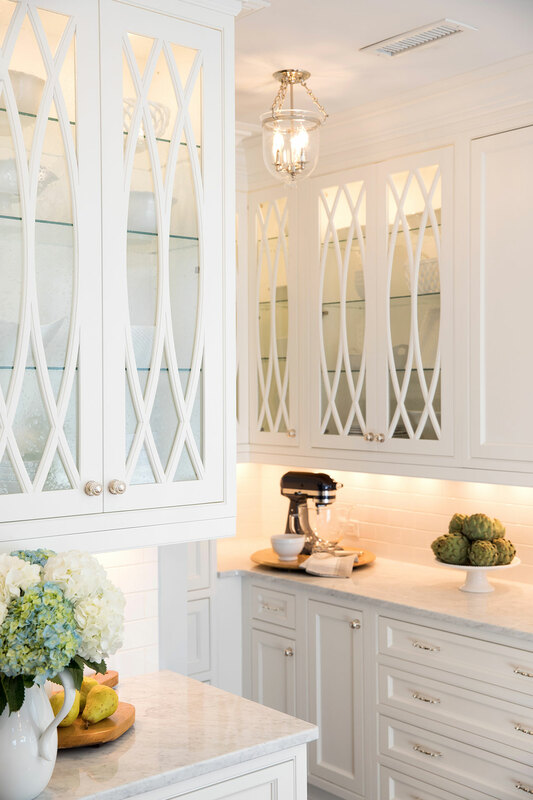 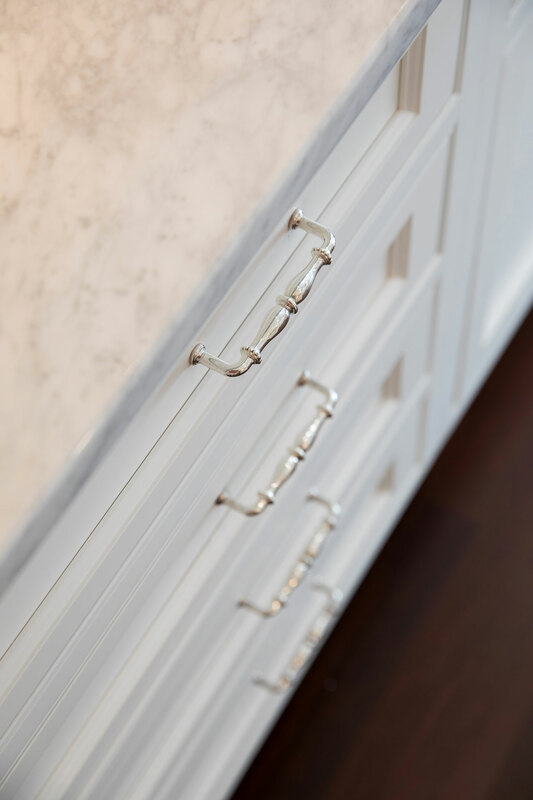 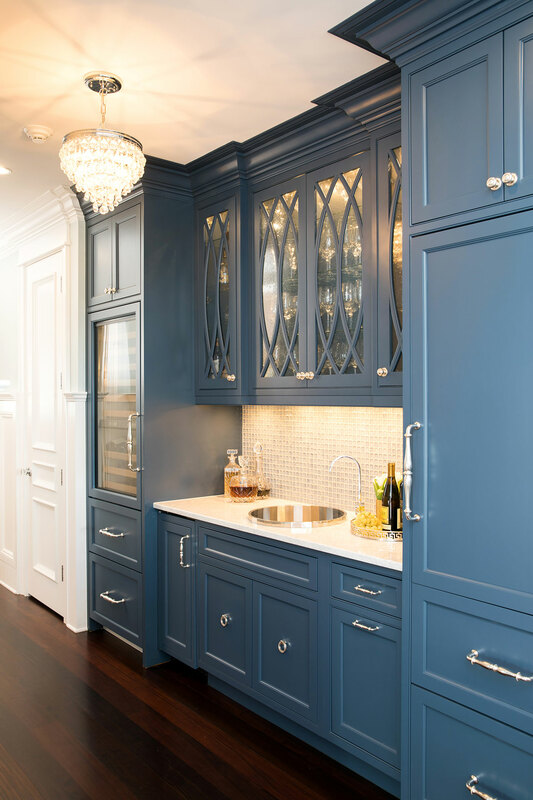 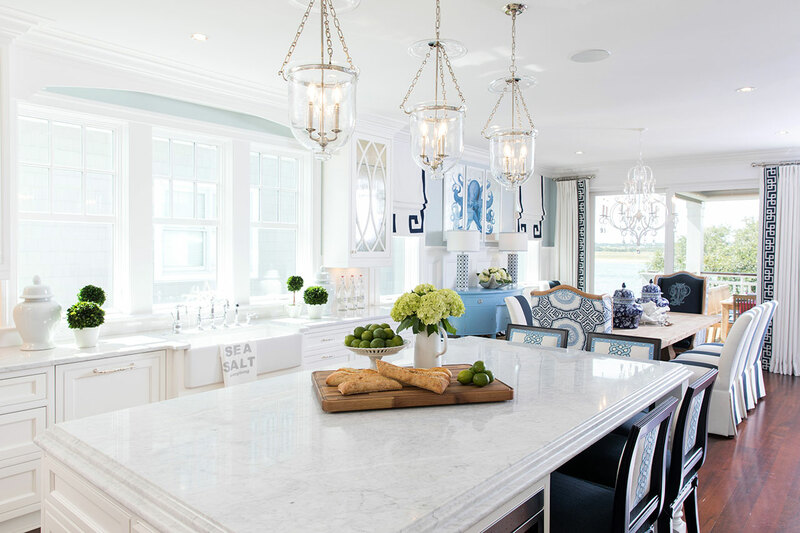 This custom kitchen showcases gorgeous custom cabinets with arched mullion doors, sterling silver hardware, Peruvian walnut floors and a 12’ marble island. 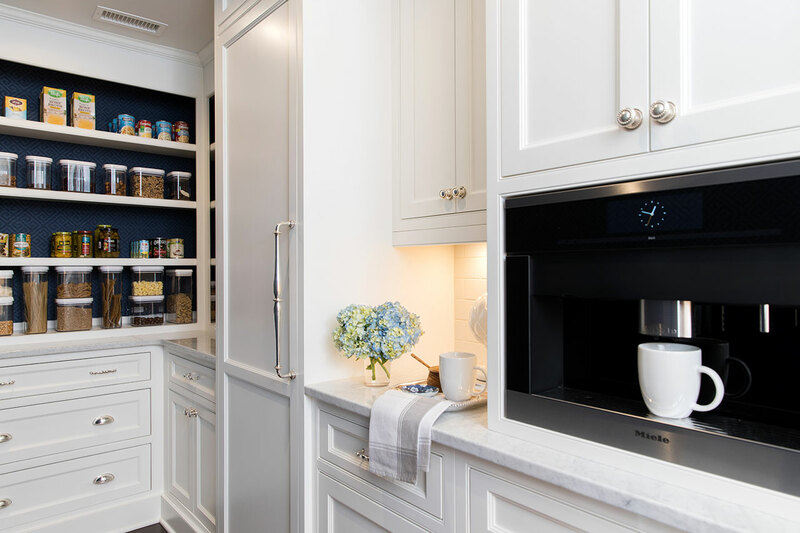 The walk-in pantry has its own refrigerator and coffee station. 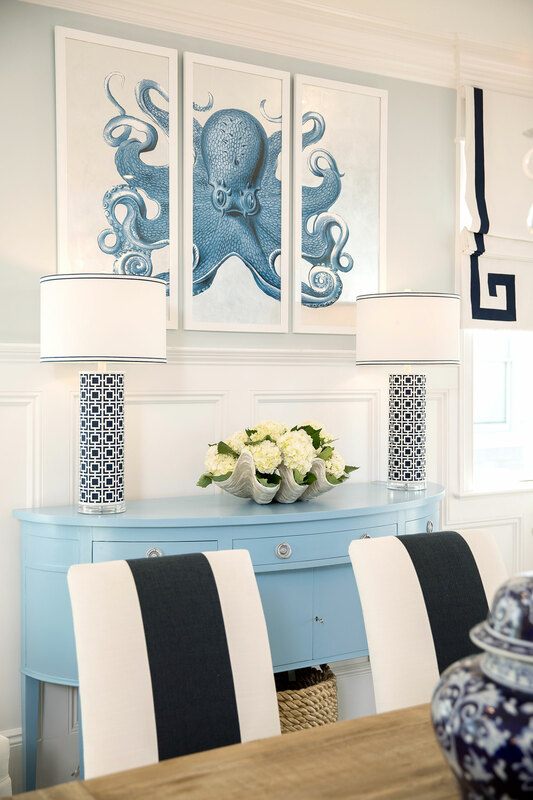 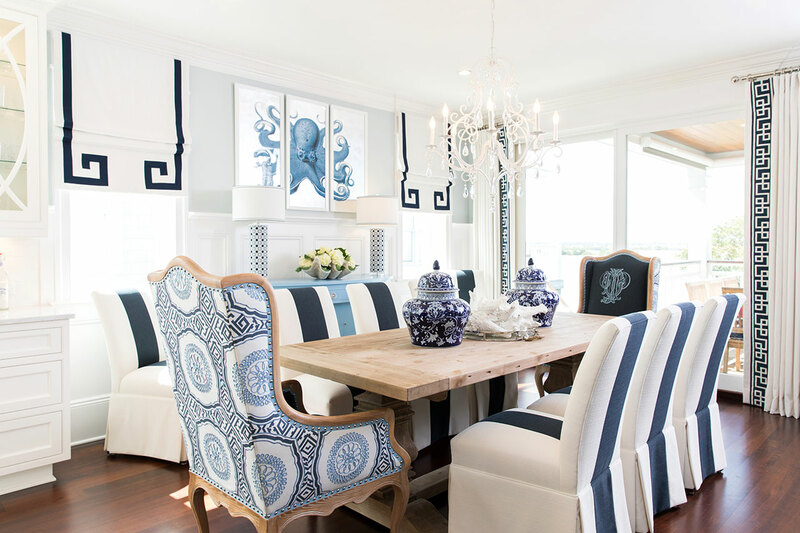 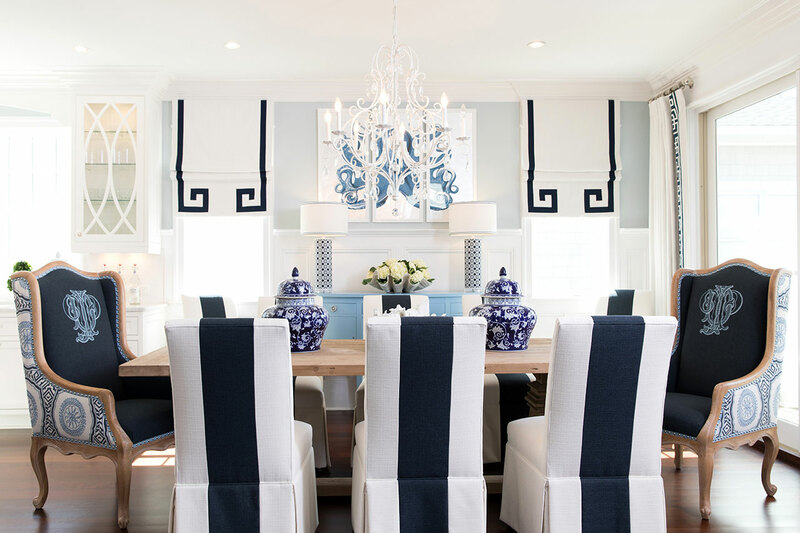 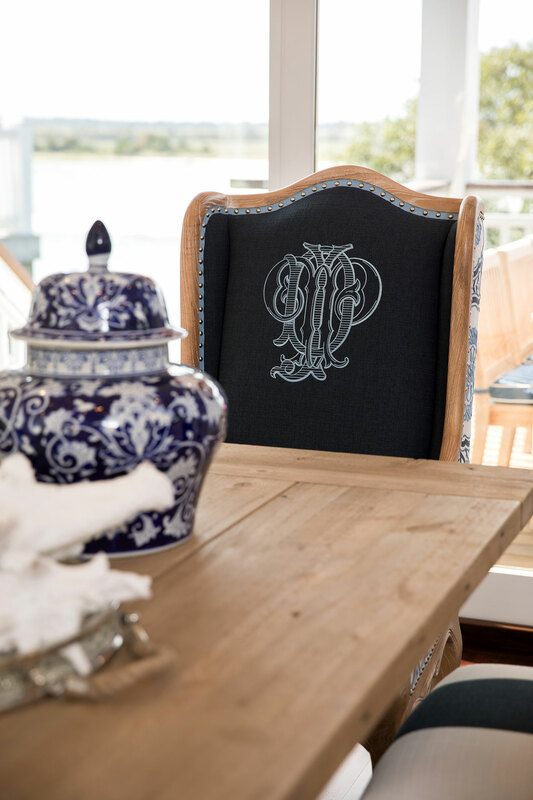 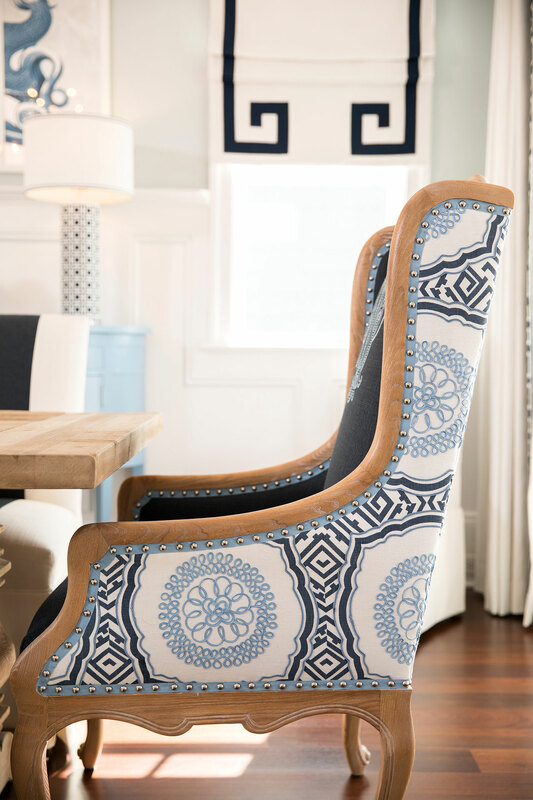 The details continue to the dining room with couture monogram host chairs, center striped side chairs and custom window treatments. 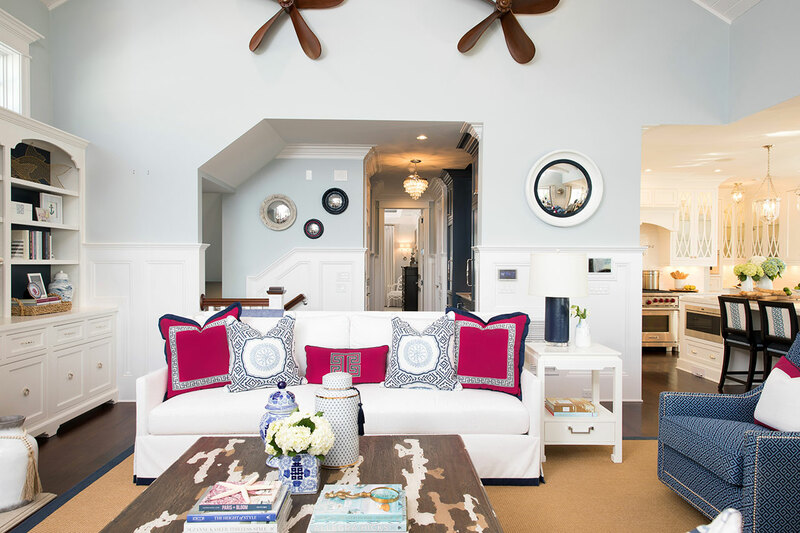 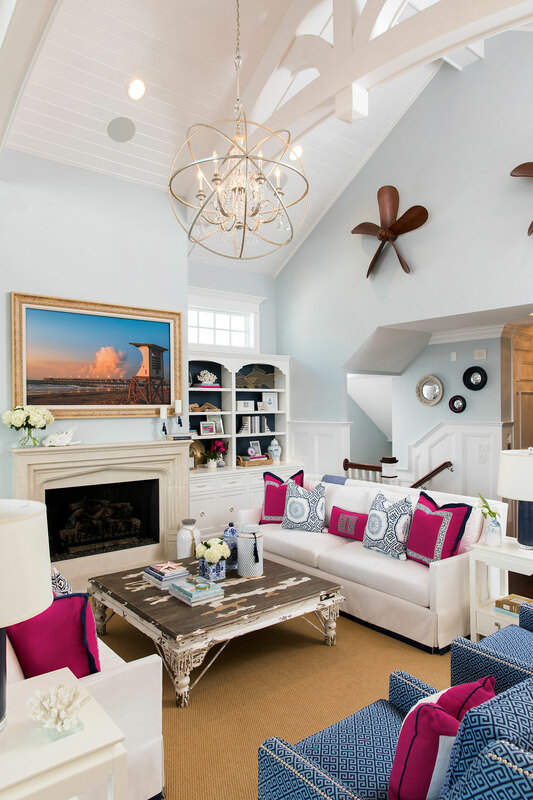 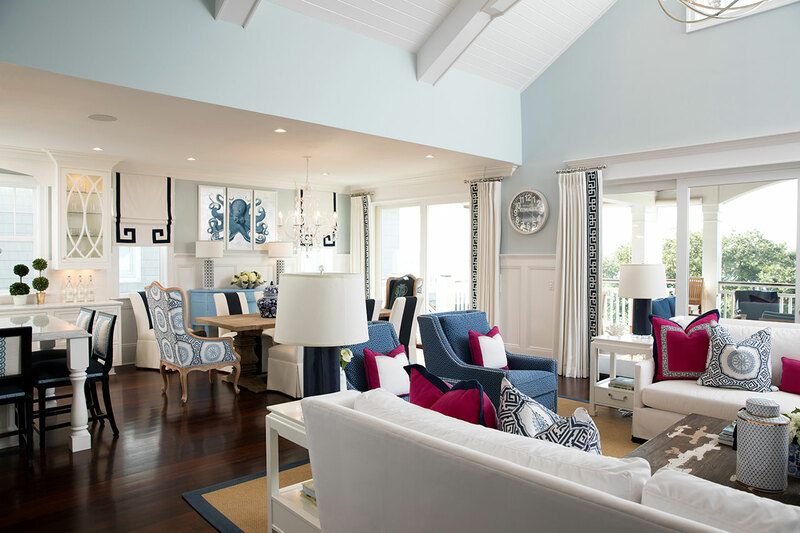 The living room layout beautifully shines with symmetry, Sunbrella white sofas and Greek key patterned chairs (cool hidden feature: the artwork rolls up and reveals a tv underneath). 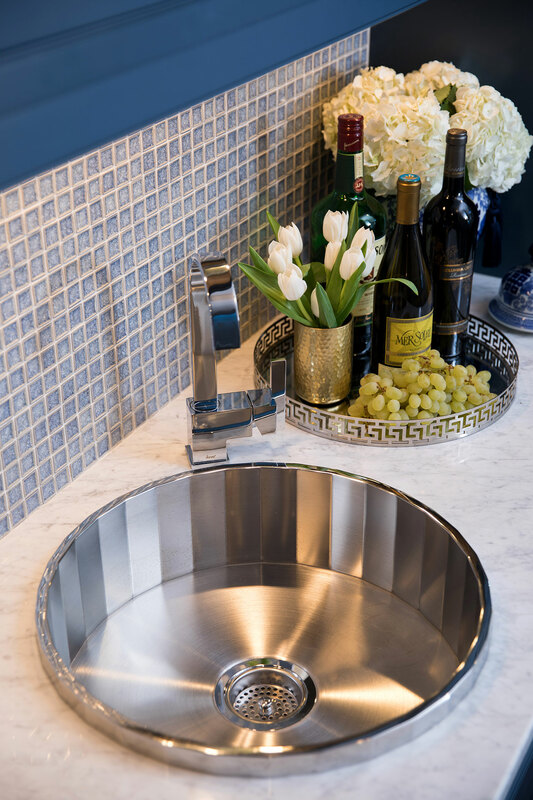 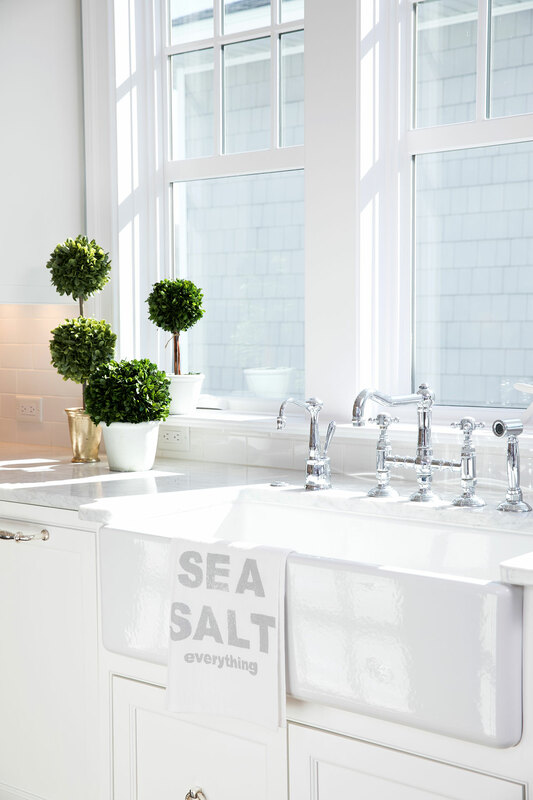 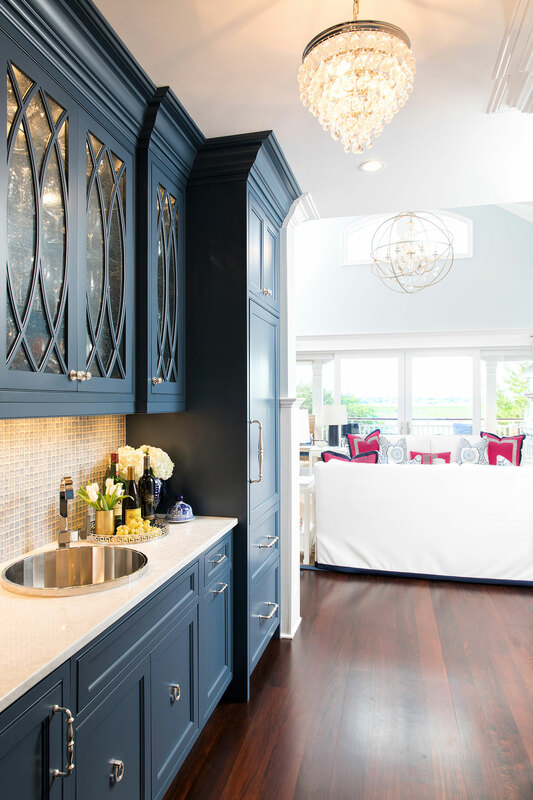 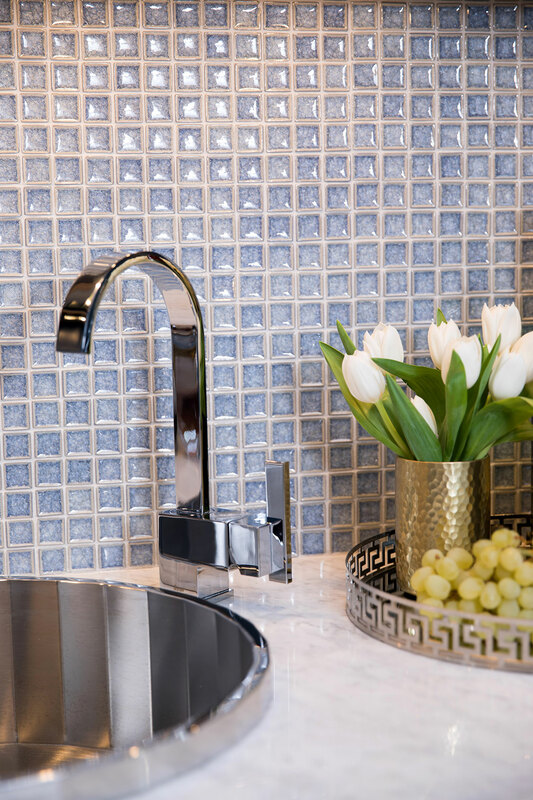 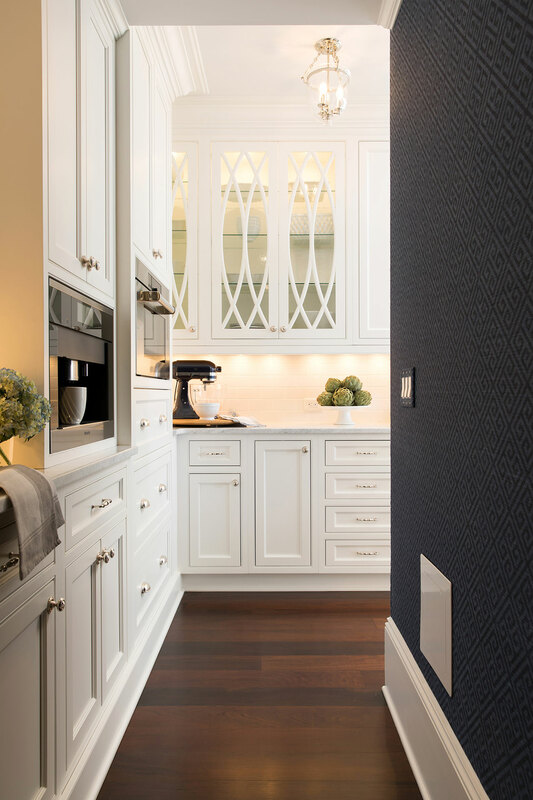 Off the living room sits a wet bar with custom navy cabinetry, faceted sink, wine reserve and glass backsplash. 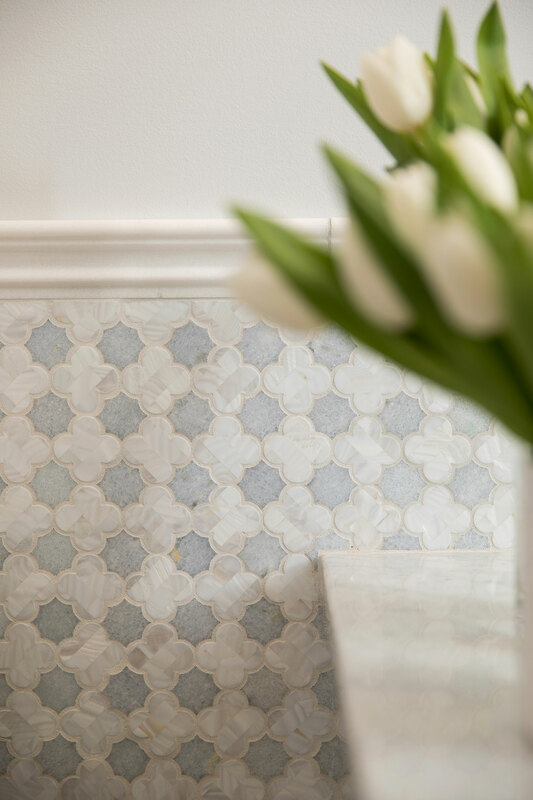 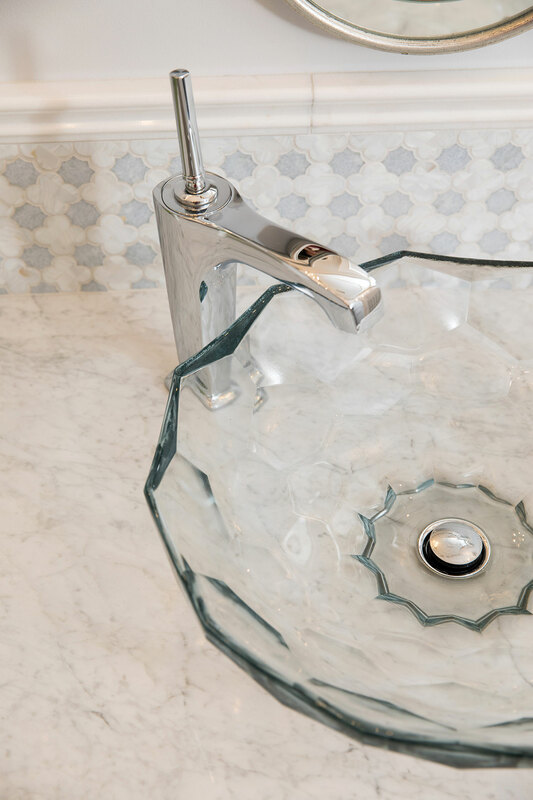 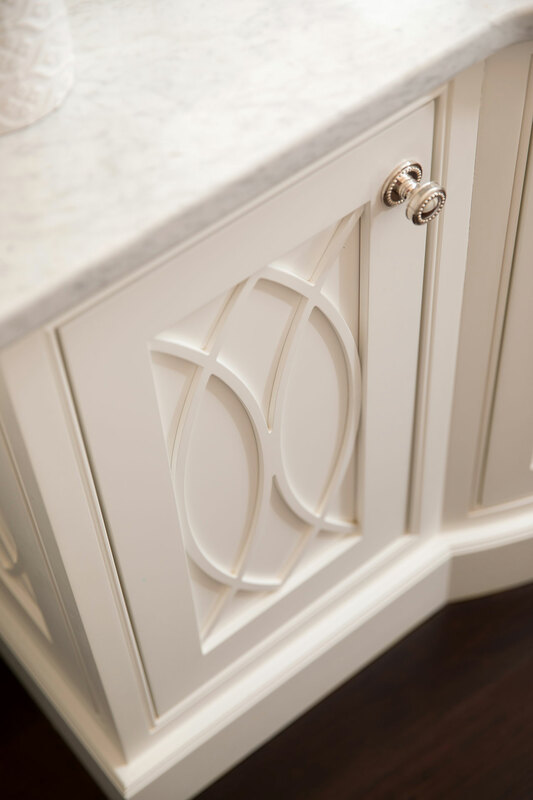 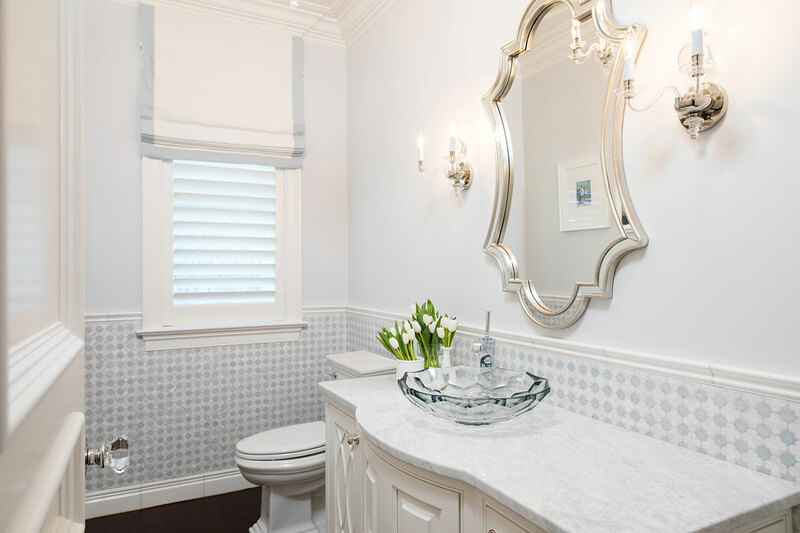 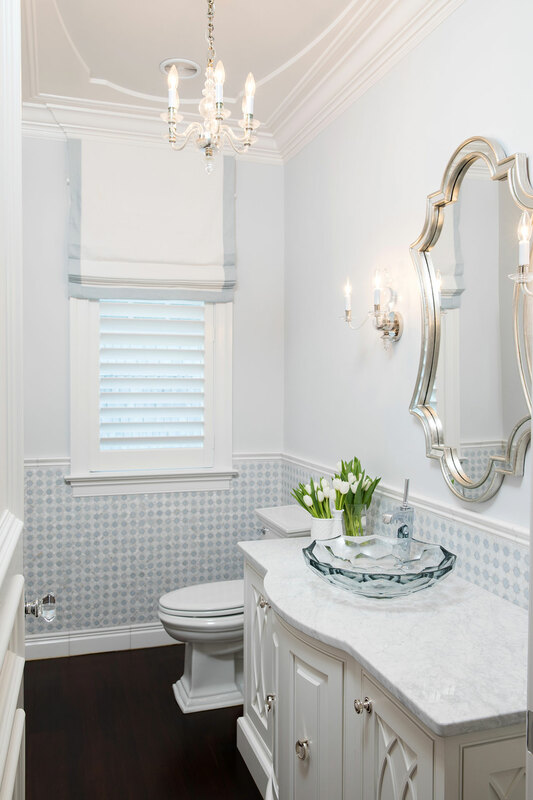 The powder room has custom mother of pearl tile wainscoting, a bow front custom cabinet and a quatrefoil detailed ceiling.